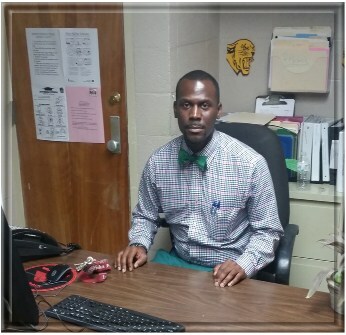 As the proud Principal of Amanda Elzy Jr. High School, I would like to say welcome to another great school year. Our missison at Elzy Jr. High is to provide students with the skills and education necessary to become college and career ready, life-long learners. We believe that regardless of backgrounds, all students can grow their talents and multiple intelligences. All students can develop skills like perseverance, resourcefulness, responsibility, and empathy - qualities that matter wherever their personal journeys take them. We ultimately desire for students to develop into quality people who create meaningful lives for themselves and make a difference in the lives of others. Our commitment at Amanda Elzy Jr. High School is to provide a safe, positive, and intellectual learning environment that will empower students to become creative problem solvers, critical thinkers, and inspired learners prepared for high school, college, and life in the twenty-first century. Education is a partnership between school, students, parents/guardians and the community. Success is achieved when we all work together as a team to achieve educational goals. Communication is the key to a successful educational experience. As Principal please know that my door is always open and I welcome your input. I believe that together we can make it a great year!